Please Note: We’re still catching our breath after this incredible event! Come back often for updates, video interviews, and a full image gallery! 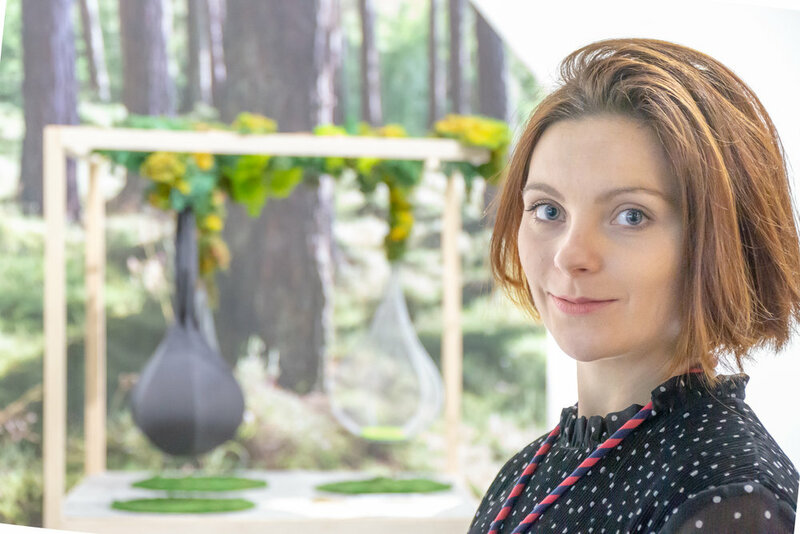 Tatjana von Stein of Sella Concept, a rising disruptor in commercial interior design based in the UK, shared her thinking behind the spaces she’s created for some of the trendiest spots in London. In Omar’s Place, a small fusion restaurant, she has so fully embraced curves and scalloped surfaces that one is very hard-pressed to find a hard edge or right angle, anywhere. We’ll have a full interview once we can catch her – immediately after the presentation in Frankfurt she told us she was jetting off to New York to discuss … well, she isn’t disclosing her next project just yet. Curves and arches are a key theme in this year’s Heimtextil Trend Book and Trend Space exhibit: “Toward Utopia.” The “Embrace Indulgence” movement encourages us to give into to our desire for nostalgic opulence, to explore the feeling of private clubs with deep-pile fabrics, velours and all sorts tempting textures. A slide from von Stein’s Omar’s Place project in London. Nary a hard edge in the joint. 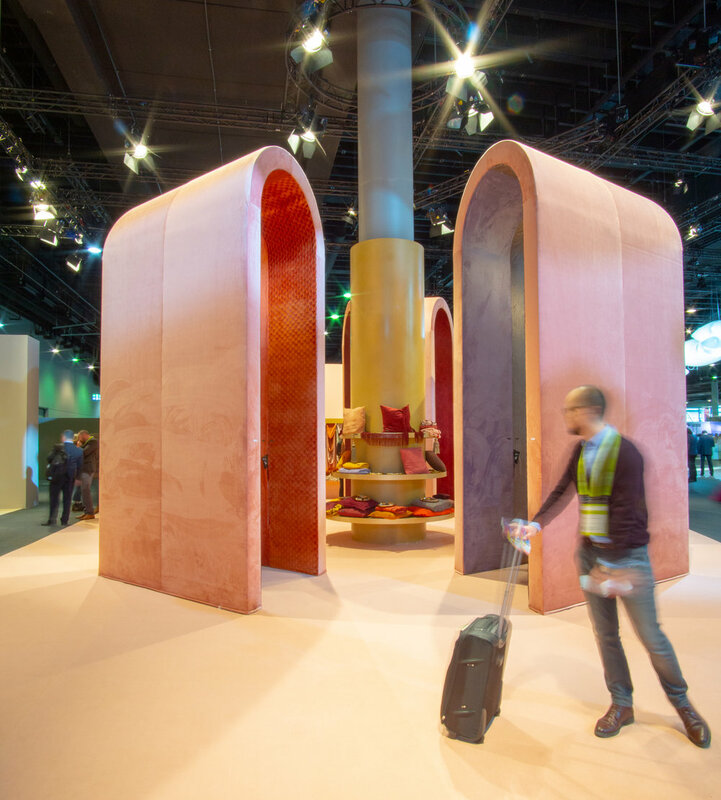 One of the great destinations at this year’s Heimtextil fair in Frankfurt was the “House of Textile” student design competition sponsored by the Association of the German Home Textile Industry (Heimtex) in cooperation with Heimtextil and various universities and colleges. The competition brought together students of architecture, interior design and textile design to take a glimpse at the role textiles will play in the areas of living, working and travel in 2025. The best ideas where chosen to show at the fair – five textile designs, and five application concepts. Viktoriia Matsurova, studying interior design at Akademie der Bildenden Künste (The Academy of Visual Art) in Munich, felt compelled to bring a little peace to the workplace. Her response: seating that offers genuine relaxation during break times. Inspired by nature, it's a place of relaxation that brings the great outdoors into the confines of the office. The curved elliptic form was inspired by the cocoon-like nests built by certain birds. “KOKON [pronounced “cocoon”] is suspended from the ceiling and swings and hovers in the room, offering your body support without forcing you to sit in a fixed position. It is comprised of various movable sections which are used to open and close the KOKON. Matsurova says these materials aren’t on the market just yet. Perhaps one of her fellow students will soon have a solution. 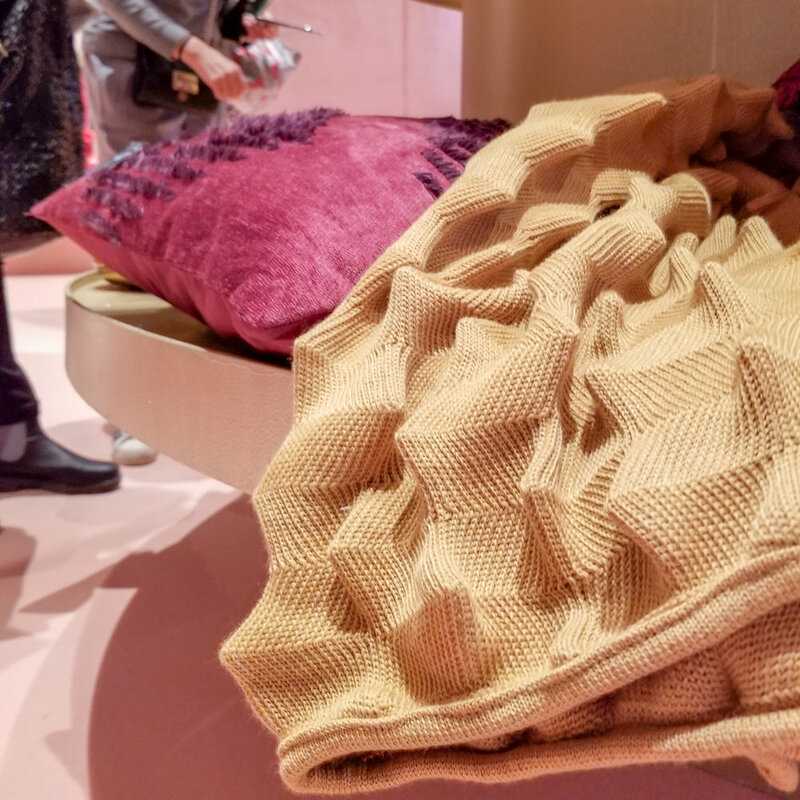 Material Intelligence is working with design educators in North America to help connect students with their counterparts in Europe and to take part in projects like House of Textile. If you’d like to get involved, please contact us!